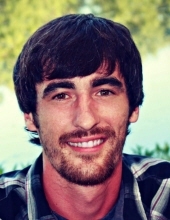 Daniel Joseph “D-Day” Day, 27, of Fulton passed away on Saturday, January 19, 2019. He was born in Santa Rosa, California on April 29, 1991, the son of Marlene (Nunez) Day and the late Rick Day. Dan worked as the Service Manager for Callaway Chrysler where he took pride in his work and went above and beyond to take care of his customers. He enjoyed spending time with his dog and faithful companion, Zena Marie Hisenburg Day. His hobbies included hunting, fishing, listening to music, skateboarding, golfing, and playing video games. He loved working on cars, especially tuner cars. Dan is survived by his mother, Marlene of Fulton; girlfriend, Kara Giboney of Fulton; grandfather, Frank Boughner of the State of California; brothers, Mike Andrews (Tina) of Lake Ozark; Shawn Brown of Kansas City, Mo., Matt Day of Fulton, and Preston Vandewater of the State of California; sisters, Kayleen Vandewater, Jessica Boughner, and Terra Trunick, all of the State of California, and Casandra Andrews of Jefferson City; and several nieces and nephews. Funeral services will be held at 7:00 p.m. on Friday, January 25, 2019 at Callaway Christian Church in Fulton with Pastor Bruce Williamson officiating. Friends will be received from 5:00 p.m. until the time of service at the church. To send flowers or a remembrance gift to the family of Daniel Joseph Day, please visit our Tribute Store. "Email Address" would like to share the life celebration of Daniel Joseph Day. Click on the "link" to go to share a favorite memory or leave a condolence message for the family.